The weather in the Midwest doesn’t usually change after the Academy Awards. Winter keeps us trapped in our houses, watching movies electronically and giving Hollywood less money per viewing than they’ve come to expect. After the Oscars are finished, there might be a day or two of arguing about who won versus who should have one. People might even take the time to remember a past winner or two. If those movies are very lucky, they’ll get dusted off and watched again. After that, caring about the Academy Awards gets boxed up like a holiday decoration and tossed in the basement to wait for next year. Maybe that box of Oscar joy gets set next to the Halloween decorations. Maybe on top of that box of Halloween decorations lies a bloody hockey mask. The Friday the 13th film series is one of the least critically respected series in one of the least critically respected subgenres (the slasher) of one of the least critically respected genres of film (horror). It started off as just a title, and its famous murderer Jason Voorhees was never really supposed to exist. He was tacked on as a jump scare in the first movie, came to stay in the second, and didn’t get his hockey mask until the third. In fact, the entire Friday the 13th series came into this world as a combination of dumb luck and blatant commercialism. You can read all about it in Peter M. Bracke’s excellent book Crystal Lake Memories. And yet, if you imagine those two boxes in the basement again, which do you think gets to come out and play out of season? 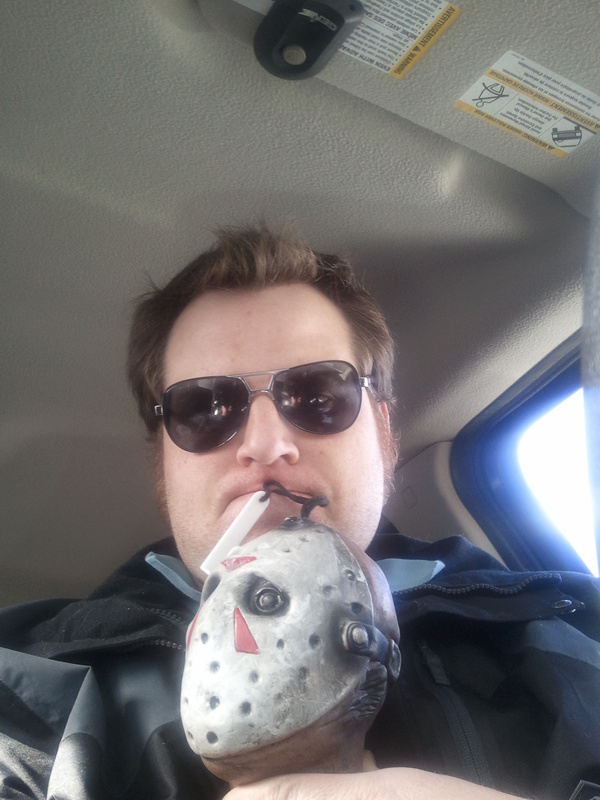 Academy Award fever or love for the big, dopey slasher villain Jason Voorhees? Like the saying goes: It may not be art, but people know what they like. I have to figure ole Jason is shaking his gunny-sacked head as he sits beside Crystal Lake, his battered hockey mask in his hands. Like the films he stars in, he’s put together to get the job done without looking pretty doing it. He’s done his job so well he’s been in remakes, tattooed on flesh, featured as a toy, and impersonated for holidays. For whatever reason, he’s clearly in demand. The cultists of the gold statue? They spend hours analyzing movies, many of them breathtaking works of art. And yet, how many of those films last as long as a character rarely played twice by the same actor? Are they out-of-touch elitists, or are we witnessing the death of high culture? Then again, maybe the real answer lies somewhere in-between. If filmmakers can bring high art to the fears and anxieties that truly connect with people. Maybe Oscar needs to get his hands dirty. And if Jason Voorhees doesn’t know what that looks like, perhaps an old friend could have him over for dinner and show him what that would look like.